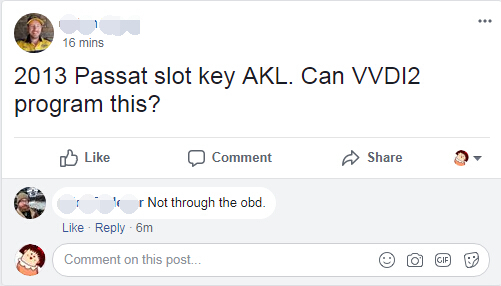 Q: 2013 Passat slot key AKL. Can VVDI2 program this? A: Not through the obd.